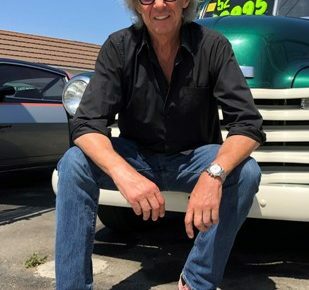 Dennis is the Vintage Car Buyer That Pays the Most! Everybody knows that classic Ferraris, Mercedes and certain Porsches are now selling for millions of dollars. Here at Dennis Buys Classic Cars we say a resounding “WHO CARES!”. We are the best as well as most knowledgeable classic and vintage car buyer entering the market place. As a result, just like when we were teenagers and would read about current super cars of the day and saw the prices. We would never even dream of owning such a car one day. It’s the same thing today. Even as an adult the prospect of owning a one million dollar Porsche is pretty much unthinkable for most of us. Therefore……… the 1968 Corvette that we lusted over when we were fifteen years old can now be had in the twenty thousand range. Now that is doable! This is the self fulfilling prophecy of the classic car market. Every decade a new group adults enter the stage in their life where they are on their feet financially. Now this burgeoning classic and vintage car buyer can afford the car of their dreams when they were a teenager. We Specialize in Affordable Classics! Consequently, at Dennis Buys Classic Cars we call this job security. We specialize in classic cars, trucks and motorcycles that are priced in the very affordable for the classic and vintage car buyer. These are usually in the range of about $5,000- $25,000. These are Mustangs, Camaros, Corvettes, Resto-Mods, Hot Rods, Harleys, cool pickup trucks, Mercedes and even Porsches. We have cars that can be enjoyed and driven everyday without breaking the bank. And, as mentioned earlier, there are new younger buyers constantly entering the market searching for their particular dream car. We have seen the market trends change in the fifteen years we have been at our Venice Blvd. location. You Never Know What You Can Find Here! Most noteworthy, first and second generation Mustangs are a perfect example. They have doubled in price in the last ten years and will only continue to rise. Remember the lowly 4-Cylinder Mustang II that we all shunned and made fun of? Well, you heard it here first! The time is coming when they will be in demand because the earlier ones will become out of reach. Furthermore, you have a classic car you need to sell, let us know. If you have just inherited a classic car and need some help figuring out what it is and what it’s worth, we can help. In addition, we will buy your classic car with zero hassle. Selling a classic car on your own can be a challenging and time consuming process. Putting a car on Craigslist can be tricky. Nobody likes tire kickers and strangers coming to your door. We are the classic and Vintage Car Buyer that can help you get through this. Plus, we even buy motorcycles! 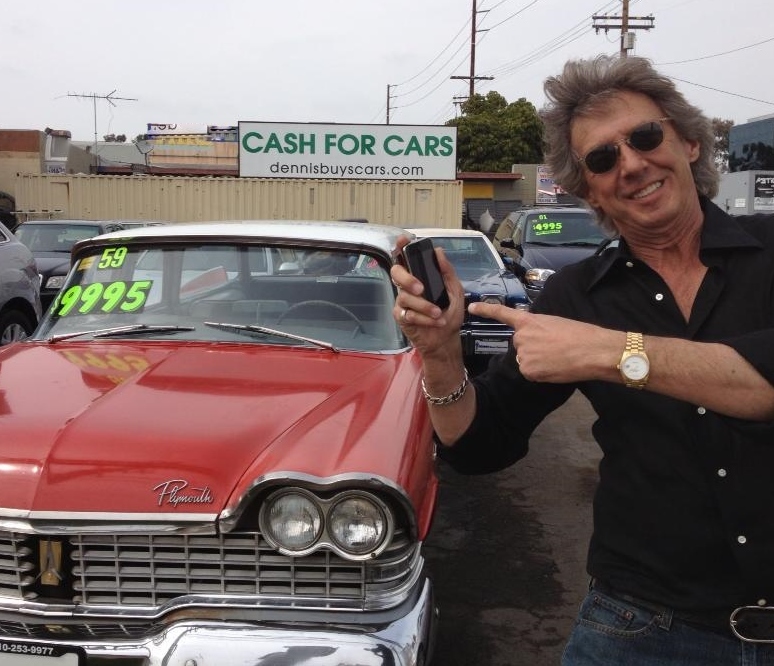 We Will Buy Your Classic Car and Pay Top Dollar! Because a lot of old cars don’t have titles or they have been lost, this can be an issue. We are a licensed and bonded California dealer. As such, we can sort out all DMV issues and paperwork. Plus many times classic cars have been sitting, neglected or are unfinished projects. In this case we can come to you appraise it and make you a cash offer. Hi this is Dennis Goddard again, Vintage Car Buyer for Dennis Buys Classic Cars and you know what, we have been practicing. I have a few things to show you, so lets take a look around and see what we have in stock. Moving on, right here we have a awesome 1970 Dodge Dart 340 GTS. This is a fabulous car, we call it a baby Charger. Right here we have a 1969 Volkswagen Beetle, this is grandma’s car and it says 28,000 miles on the odometer. We think it just might be accurate. Stop in and Check Out Our Cars! And right here we have a really nice 73 Chevy Corvette, numbers matching, 350 and this was the last year of the small bumpers in the back. We have, this just came in, Smoky and the Bandit car. 1978 Pontiac TransAm with a 400 motor and it sounds great, runs great. We got a 69 Ford F100 Pick up, 6 cylinder, 3 on the tree they called, its a Texas car, super clean. This beauty just came in, look at this, this is a 1966 Chevy Caprice. This is called the 2 door Formal Hardtop, this was a one family owned car, also a grandma’s car and there she is Merle. This was Merle’s car. In addition, we have a 1969 Lincoln Continental Mark III in Spring Time Yellow. Oh, and check this out, where are you going to see a 69 Lincoln and a 70 Lincoln in the same place. I probably should park them next to each other, but very nice clean Lincoln Mark III. We got another Mini here, ha, where this came from!? Two Minis at the same spot, oh boy! Here we have a 76 Triumph Spitfire, nice little car. Also, we specialize in affordable classics, everybody knows that Ferrari is a fortune, it goes for millions of dollars, we say who cares!! We like cars that we can drive evryday. A nice 1978 Mercedes 450SL, called the 107, this are becoming very, very popular right now. They are really climbing up in price. There is another one owner car, actually it’s a 1979 Chevy Camaro Berlinetta. It’s got RS stripes on it, but this is a one owner, low millage California car. Here we have a 1966 Oldsmobile Toronado, this was a pre-cursor to the front wheel drive Cadillac Eldorados which started in 67, these are awesome cars. Also, we have an a old 1937 Packard. Look at this beauty. This is a 64 Land Rover Defender series 2A that we bought from a elderly gentlemen. He just decided that it was time to give it up and let it go to a new home. Finally, this is a lowly Mustang 2. Watch out, people will be asking for these in the next couple of years. All the Mustangs continue to rise in prices. Last but not least we have a very nice little Alfa Romeo GTV. Finally, that’s the snapshot of what we have going on recently at Dennis Buys Classic Cars. We appreciate you joining us and thanks for watching.